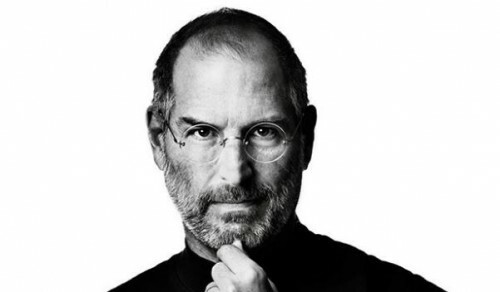 According to the latest rumors, David Fincher - the Social Network director - may direct Sony’s new Steve Jobs movie. The film is expected to be based on Walter Isaacson biography. Aaron Sorkin, who previously wrote the Social Network, is currently working on a screenplay for the new Jobs biopic. A new iOS bug has been recently found that allows malicious apps to monitor and log user’s touch inputs and button pressings. 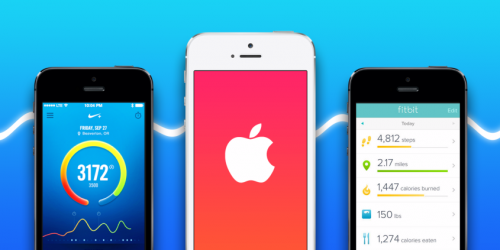 Such apps are capable of running in background and sending sensitive data to remote servers. That is why you should carefully choose, which apps to install and which not. 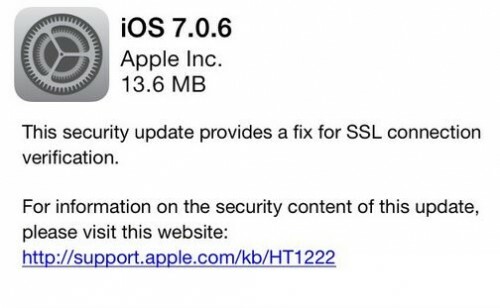 Apple has recently released iOS 7.0.6 to public. 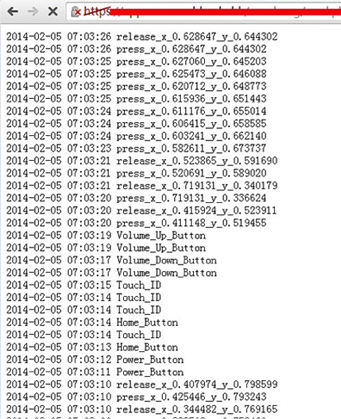 At the same time, the company from Cupertino seeded iOS 6.1.6 to users. Both updates contain a fix for SSL connection verification, so you should update your device. Be sure. According to the latest reports from several sources, Tesla CEO confirmed that he had a talk with Apple executives. 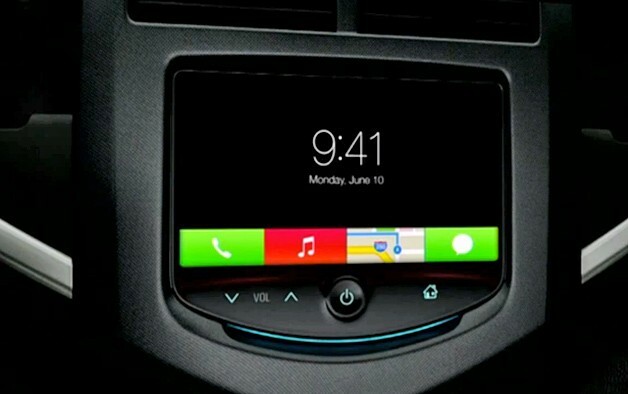 However, it is “very unlikely” that the company from Cupertino will acquire the electric car manufacturer. The company from Cupertino reportedly sold nearly 1.6 million iPhones in Russia during 2013, even though in the first half of the year Apple’s handsets were not available on Russia’s largest carriers - MegaFon, Mobile TeleSystems (MTS) and VimpelCom. 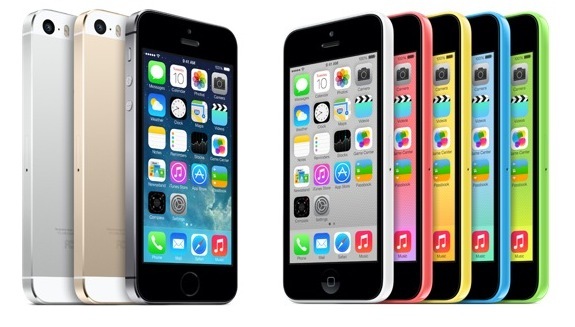 Apple’s market share on Chinese market grew one percent in the last quarter. Now the company from Cupertino takes about 7% of smartphone sales in the country, AppleInsider reports. However, I should say that these figures do not include China Mobile iPhone sales. 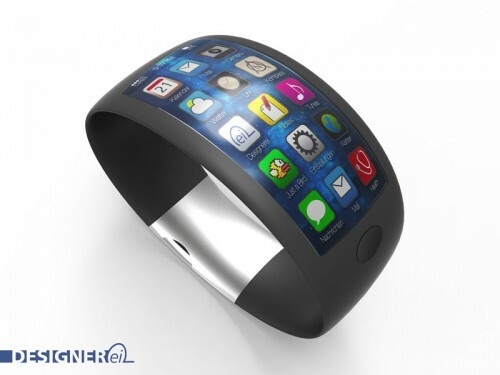 China's Electrical Engineering Times reports that the coming iWatch will boast optoelectronics to monitor the heart rate and blood oxygen levels of the user. Apple is said to have chosen the light-based technology over electrocardiography, a more accurate method which measures electrical impulses, due to the former's ability to continuously monitor heart rate with no action from the user. Most ECG-based products require multiple contacts, meaning users must either attach multiple diodes to their body or touch the product with both hands to get a reading. 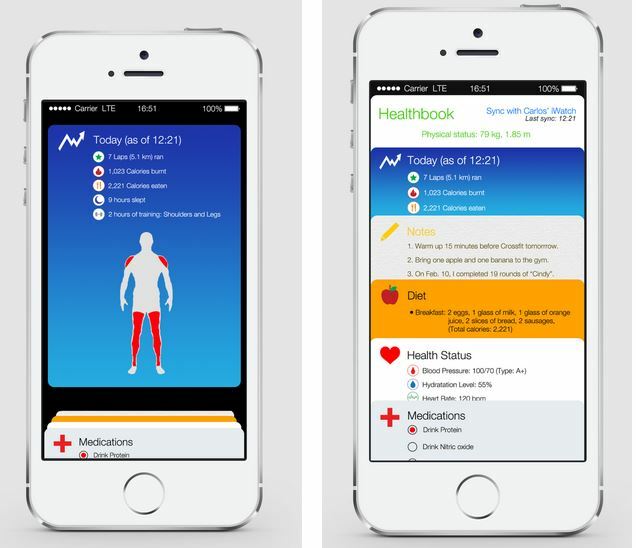 A designer named Carlos Quijano has recently posted some renderings of what may be iOS 8 'Healthbook' app. In case you don’t know, this is an application that will be working with your iWatch and monitor your fitness activity, for instance, the number of miles you walked or the quantity of calories you burned. Useful piece of software, I must admit. Apple's iPhones to Be Manufactured by Google Robots? Apple’s iPhones may be soon manufactured by Google robots. 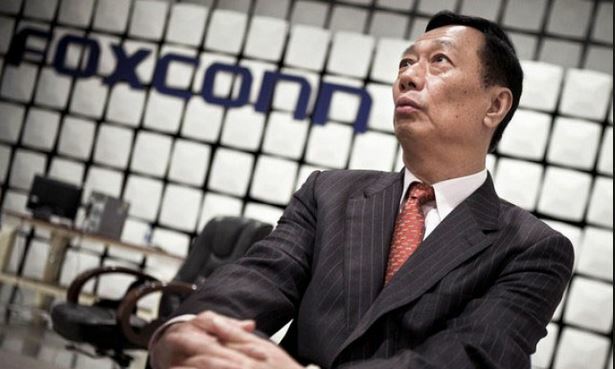 According to what The Wall Street Journal writes, the search giant is currently working with Foxconn on automating assembly lines at its factories. Foxconn chairman “expressed excitement over new automation technologies”, so looks like both companies will soon become close business partners. 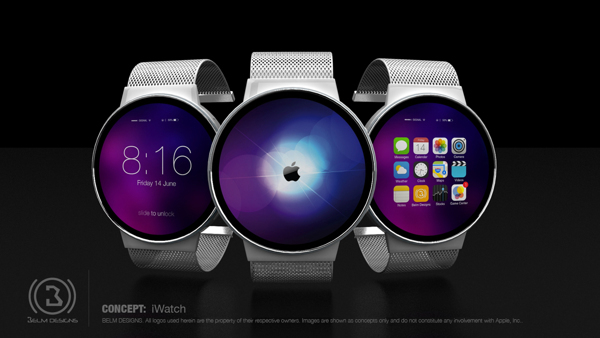 A new concept of iWatch was presented by Mark Bell of Belm Designs for a contest featuring future products from some of today’s tech-giants. We toyed with different shapes and even based a few on current offerings on the market today. We found that when it comes to a watch or in this case a “Smart Watch”, a traditional circular shape was most favorable. Most people are quite comfortable with the shape and it still exudes class and style. Apple will use iOS 8 for iWatch and implement some sensors to monitor fitness and health signs for 'Healthbook' app. An expert on sleep research and a 'User Studies Exercise Physiologist' have been hired to work on the project. According to Morgan Stanley analyst Katy Huberty, Apple may gain $17.5 billion from iWatch sales over the first year. You can enjoy the concept below. According to WSJ, Apple has repurchased $14 billion of its own shares after the Q-earnings report was published on January 28th. Mr. Cook said Apple was "surprised" by the 8% decline in its shares on Jan. 28, the day after it reported quarterly results, and wanted to be "aggressive" and "opportunistic." 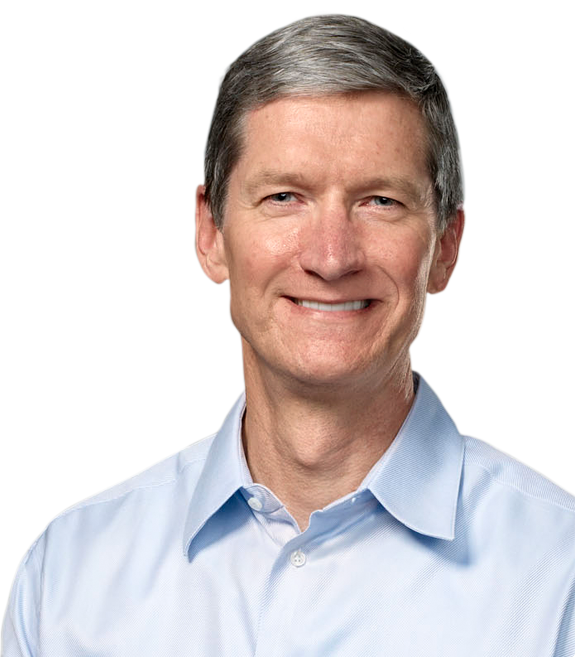 With the latest purchases, Mr. Cook said Apple had bought back more than $40 billion of its shares over the past 12 months, which Mr. Cook said was a record for any company over a similar span. A concept presented by Ciccarese Design compares the 4-inch iPhone 5s and the rumored 4.7-inch and 5.5-inch iPhone 6. 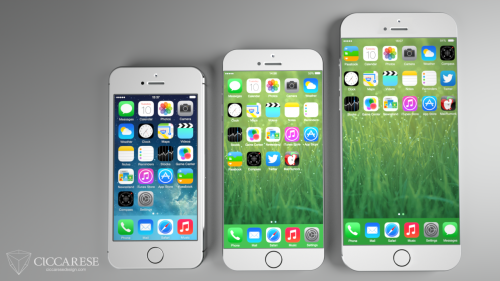 If the rumors about a 4.7-inch and 5.5-inch iPhone 6 right, we should wonder what their screen resolution will be. KDB Daewoo Securities believes it will be of 1920x1080 and 2272x1280. Display Search, on the other hand, predicts the screen resolutions of 1600x900 and 1920x1080. You can enjoy the concept comparison below. The United States Senate Committee on Commerce, Science, and Transportation on Thursday asked Apple, Google, Samsung, AT&T and Sprint to collaborate and come up with a technical solution to the problem of distracted driving. Apple has heated the rumors about iWatch by posting a employment advertisement seeking a 'User Studies Exercise Physiologist' to design and run user studies related to cardiovascular fitness & energy expenditure. According to the recent report from The Economic Times, Apple has resumed the production of its discontinued iPhone 4. 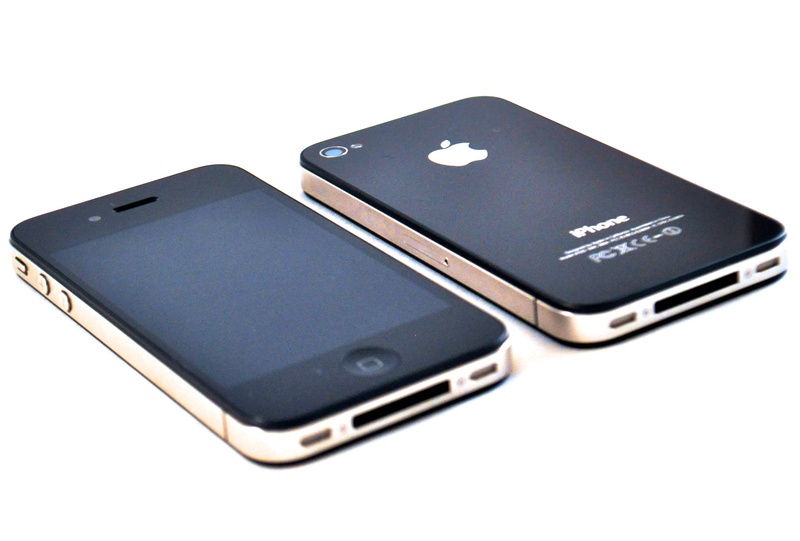 The company from Cupertino plans to sell these handsets in the developing markets i.e. in India, Indonesia, Brazil and probably some other countries.